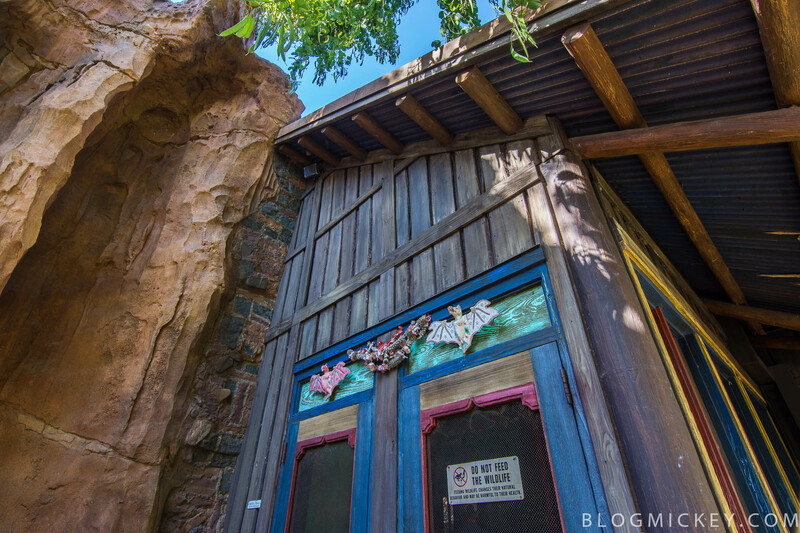 We recently walked through the Maharajah Jungle Trek at Animal Kingdom and one of the enclosures that we spent the most time at was the bats enclosure. Probably my favorite part of the enclosure is that as you walk closer to the windows you realize that there actually are no windows! Nothing between you and the bats. It’s for this reason that there is a hallway with the opportunity to pass by the exhibit. 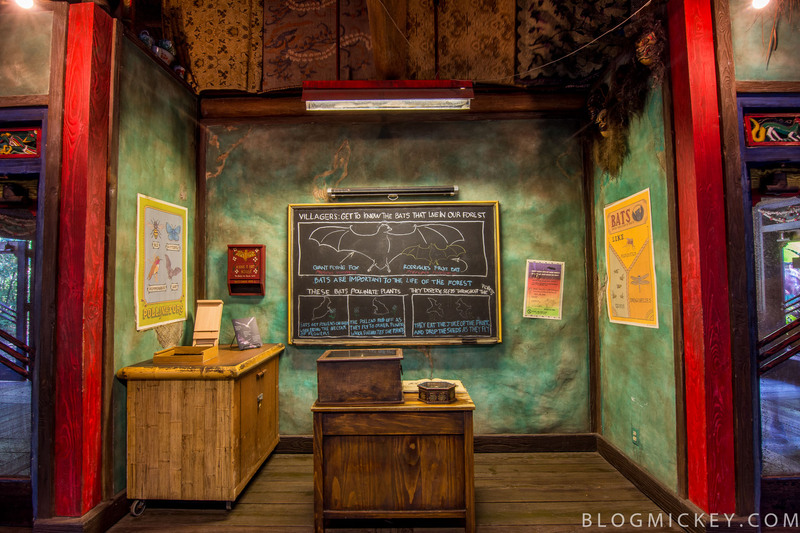 Inside the exhibit, there are educational items in the room that teach you how big of a role bats actually play in the forest. Without further adieu, the main attraction. One of the things that surprised me was their size. 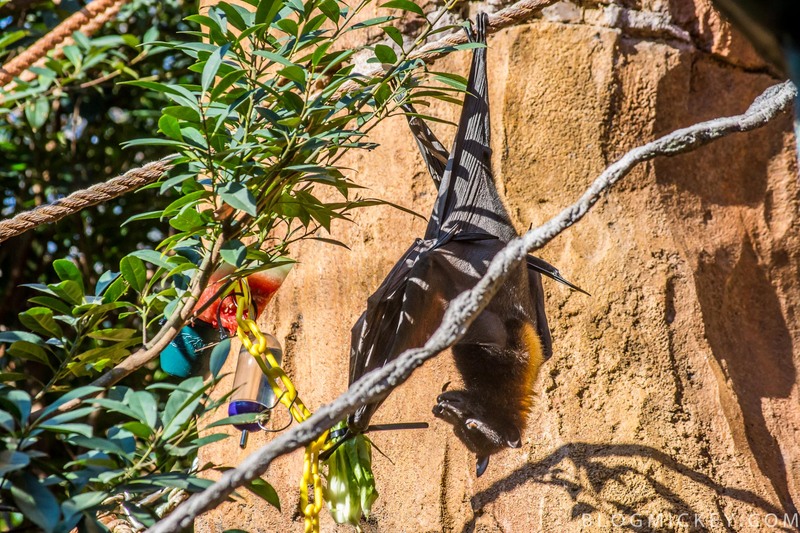 At over a foot in length, a wingspan of up to 6 feet, and weighing in at up to 2.5 pounds, the Malayan Flying Fox is a lot larger than the small bat often depicted in popular culture. 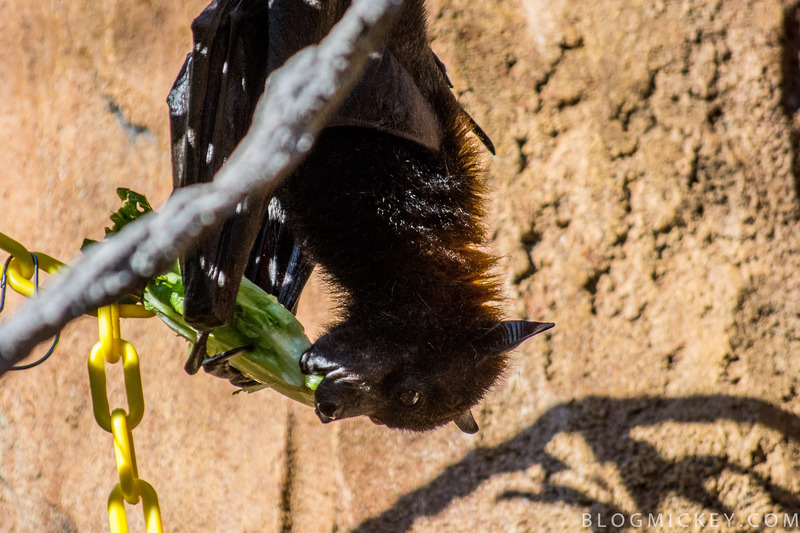 It is not a nocturnal bat, but rather crepuscular, which means it’s most active at dusk and dawn. We caught this one having some breakfast shortly after park opening. 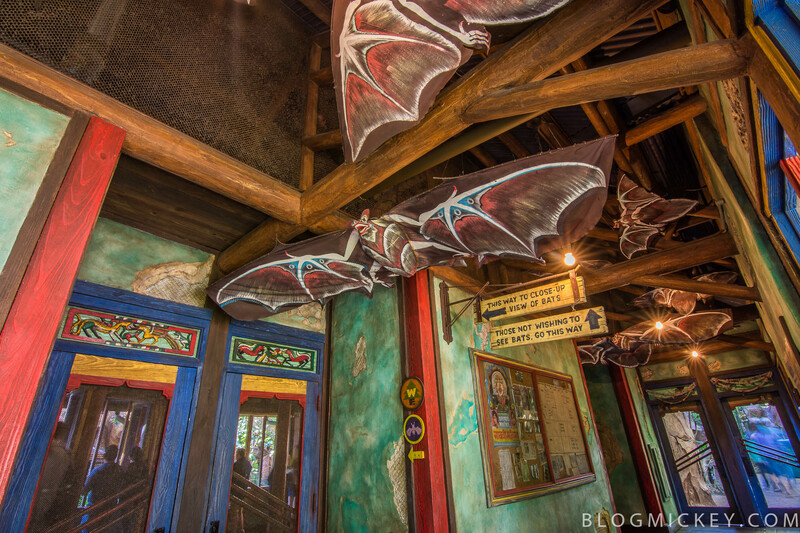 Next time you’re at Animal Kingdom, I would definitely recommend a visit to the Maharajah Jungle Trek and even a peek inside the bat exhibit!